CHARLESTON, WV — This morning, the Morrisey for Senate campaign released its fourth TV ad featuring footage from President Donald Trump praising Attorney General Patrick Morrisey. 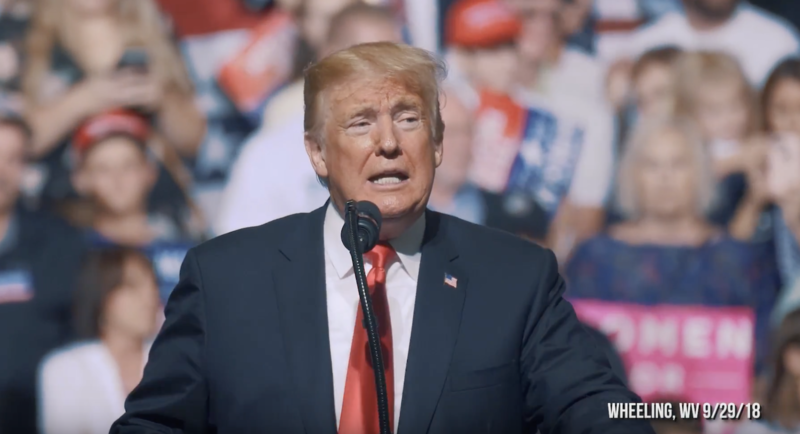 The new ad, “Vote For Me (Trump),” features President Trump’s comments from last weekend’s rally in Wheeling, WV. The TV ad also features a contrast between Patrick Morrisey’s record of defending the Second Amendment versus Joe Manchin’s liberal record of siding with Obama and Schumer for aggressive gun control. Morrisey is endorsed by the NRA and West Virginia gun owners, while Manchin has deceived gun owners and has received a “D” rating from the NRA. MORRISEY: I’m Patrick Morrisey and I approve this message. TRUMP: A vote for Morrisey is a vote for me. NARRATOR: Patrick Morrisey is protecting our Second Amendment. He is endorsed by the NRA and West Virginia gun owners. Liberal Joe Manchin is lying to West Virginia. MANCHIN: And the Second Amendment always. NARRATOR: Joe Manchin’s pushing a gun bill supported by Obama liberals. Lying liberal Joe’s gotta go. Morrisey for Senate’s first three TV ads, “Working Class,” “Amen Brothers,” and “Abandoned” were released in September.